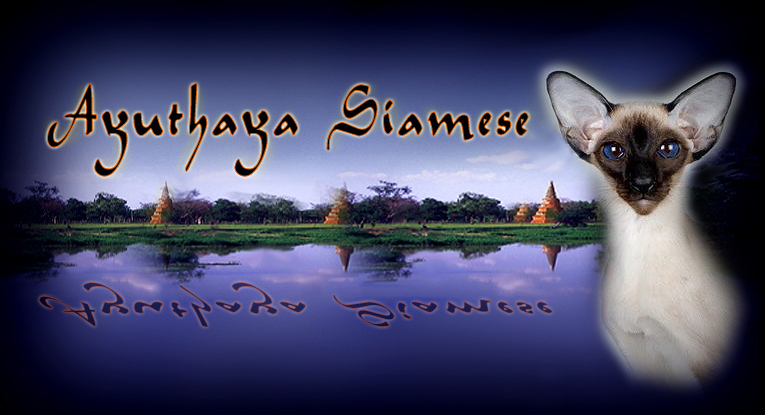 Ayuthaya is a small, selective cattery in Toronto, Ontario, Canada, owned by Susan Perkins, specializing in Siamese of quality, health and temperament always guaranteed. All kittens are CFA registered. The cattery was established in 1998 and began with Angkor Rose Pawnee of Ayuthaya from Betty White. Our cattery is named after the kingdom of Ayuthaya (1350 to 1767), a kingdom of mystery - an exotic land of temples, palaces and kings. It is no wonder that Siamese Cats from such a place brought with them their own mythology and beauty. There exists some very old manuscripts called Tamra Maew ( cat poems ), which are said to be written 500 years ago, during the Ayuthaya period. Among the cats represented in these manuscripts is the Wichien-maas, or what we call Siamese Cat today. The name in Thai means ' jewel ' or ' moon diamond '. I do not breed for quantity or demand. Kittens are placed with the utmost concern for their well being regardless of show, or pet home. A considerable amount of care and thought is put into the planning of each litter. I try to match families with the kitten that best suits their requirements. 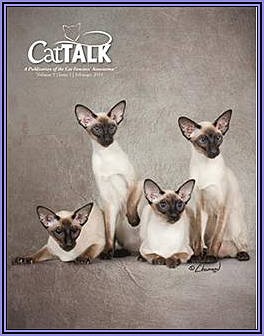 I plan my litters in the hopes of encompassing all aspects of the Siamese - beauty, temperament and health. No cat or kitten is caged all are treated as treasured pets, part of the family.